that's the next big trend, I hear. very cute. My African Grey parrot loves chewing up corks. I have to keep him well stocked with them. 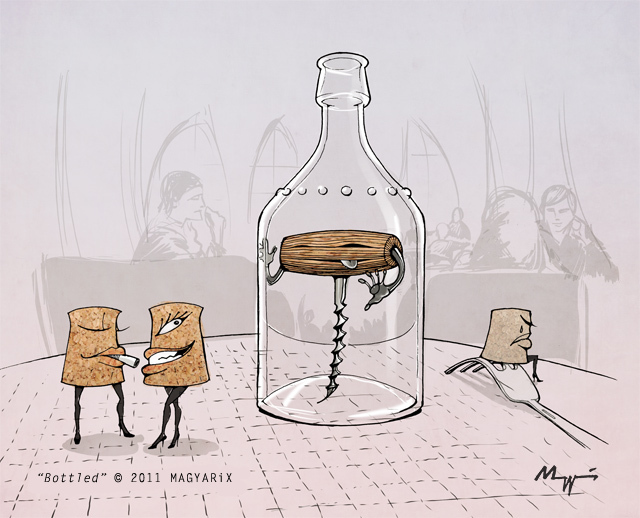 Hey, did those girl corks stuff Mr corkscrew into the bottle?? Dear Ted, Mr. Corkscrew can't remember. It must have been a crazy night.